Hello. It’s been a while since I last blogged. I missed you, and hope you missed me too. I last blogged in July 2013. Many of my evenings and weekends had been taken up by my coaching qualification coursework – which, I’m pleased to say, I passed, so the effort was worth it. I had a lot of activities planned over the summer, so thought I’d give myself a couple of months off and return to the blogging in September. Along came September. My partner, Martin, and I had been trying for a baby for two years. After a year of trying without results, we’d both been for tests. The tests came back clear for both of us: the diagnosis was unexplained infertility. While it was a relief to know nothing was wrong with either of us, it was frustrating as it meant there was nothing to fix. In early September, my consultant recommended I try a course of Clomid. Blood tests suggested I might not be ovulating, or at least, the hormone levels weren’t high enough, and Clomid helps with that. I started the tablets on the first day of my next cycle, which was just a couple of days after my appointment. It was great timing, as we were both eager to get pregnant. After a couple of days, the effects of the drug really hit me: it was like PMT times a million. Mood swings, bloating, extreme tiredness – I was a crazy woman, and could barely string together a coherent sentence, let alone blog. By early October, it became apparent the side-effects of Clomid were worth it. I was pregnant! Martin and I were ecstatic and excited, but we couldn’t believe our luck, especially after just one cycle. I went out and bought new pregnancy tests, in different brands, just in case they were broken. A scan at seven weeks revealed the tests were correct – we had our own little bean, with a beating heart. The all-day-and-all-night nausea, coupled with the sheer exhaustion of the first trimester also put paid to any blogging plans. I had plenty of other things on my mind though – the baby’s development, whether they would be a boy or a girl, who they would take after, what we would buy for them – all the usual things expectant parents get excited about. I ate and drank all the things you’re supposed to, and none of the things you’re not, took supplements, exercised gently and got plenty of rest too. Scans at 12 and 20 weeks revealed a perfectly healthy baby, well within all the normal size parameters. The latter scan also showed we were expecting a little boy. We were over the moon, and started shopping for adorable little baby boy outfits, and all the things we would do with our little boy. I was very proud of my growing bump. We couldn’t wait for him to be born, and to show him off. At around weeks 16/17 I felt the first flutters of my baby moving – the feeling was indescribable. During the next few weeks, I felt him, and the kicks and punches grow bigger and stronger – I was a very proud mummy-to-be. 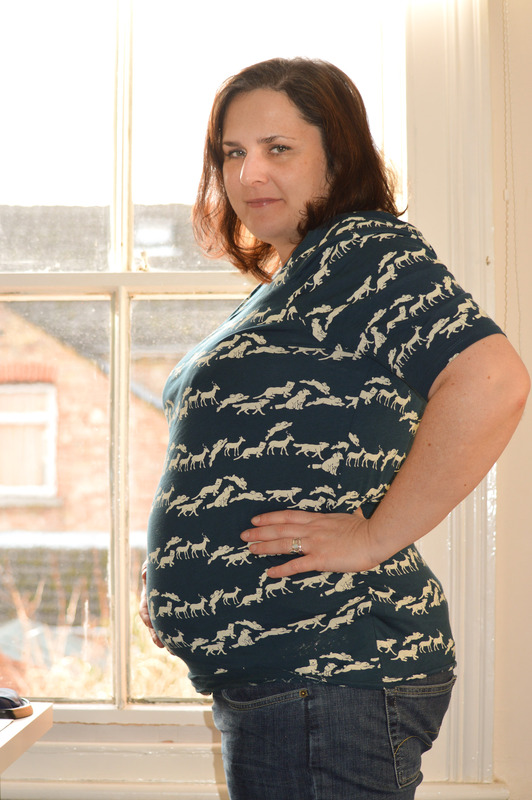 Everything was going well – I was more than half way through my pregnancy and as I’d had clear scans, had assumed it was a matter of waiting for 40 weeks, with the baby growing bigger and getting an ever-growing bump. Little did I know that in early February 2014, events inside my body conspired against the natural course of events that I had taken for granted. A routine visit to my midwife turned into a trip to the local hospital, where I was diagnosed with severe pre-eclampsia and HELLP syndrome. The consultant informed me that I was very sick and was likely to have to deliver my baby that night. These rare conditions only occur during pregnancy, and the only cure is delivery – without it, the lives of both mum and baby are at risk because, simply put, HELLP causes the expectant mum’s organs to fail. I was utterly in shock. Martin and I spent the whole night sobbing. At that point, I was only 24 weeks and one day along – the chances for my baby’s survival at that stage were slim. Thankfully, over the next couple of days I stabilised, and the doctors hoped to keep me in hospital under strict supervision until around 26 weeks, to give our baby the best-possible chance. 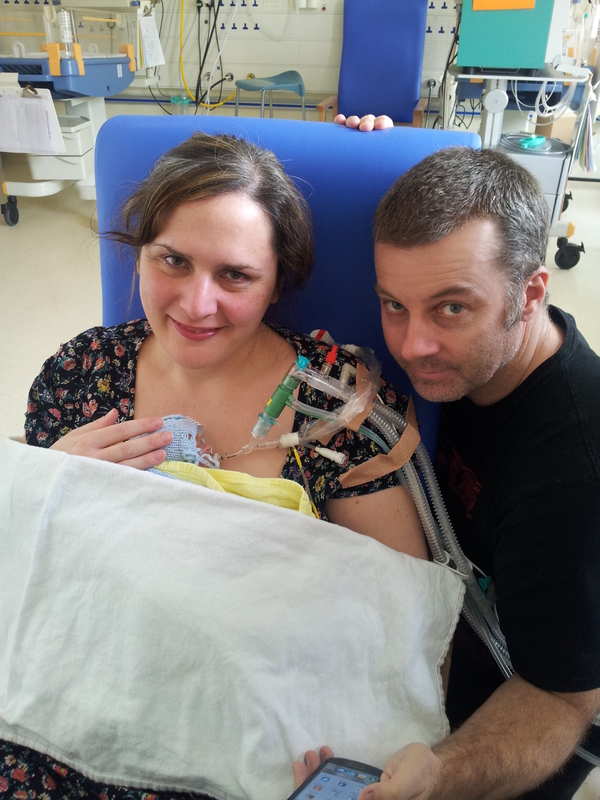 They would, however, have to transfer us to a specialist hospital, irrespective of how long I was able to hold on for. So, two days later, I was transferred by emergency ambulance to a hospital two hours away, with Martin following by train. It was the closest hospital that had both a bed for me and a place in the neonatal unit for my unborn baby. Sadly, by the following day, my condition had deteriorated and I was informed I had no choice but to deliver my baby by emergency Caesarean section. I was in theatre within 30 minutes and put under general anaesthetic. The day was Thursday, February 20, 2014. At 11.19am our beautiful son, Hugo Christopher Dylan Parker was born, weighing just 420 grams. The pre-eclampsia and HELLP had affected the blood supply to the placenta, meaning he was growth-restricted. 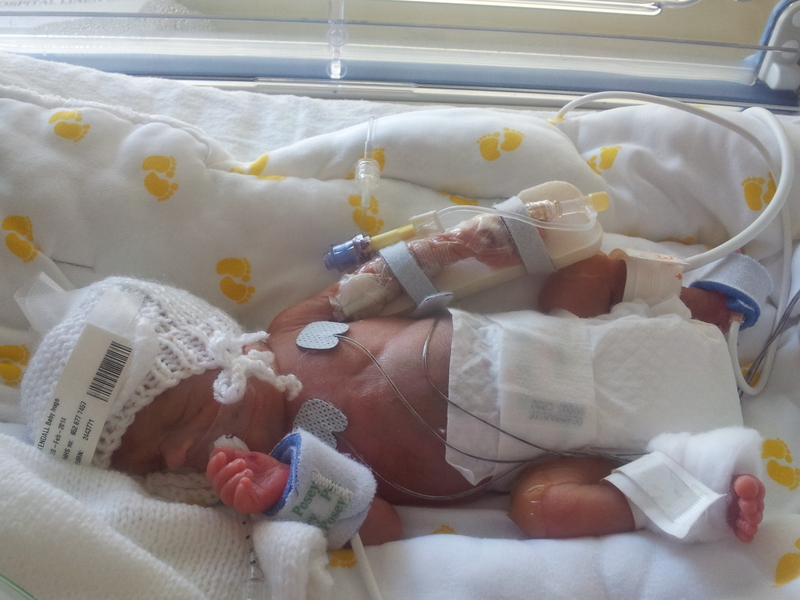 The neonatal team resuscitated Hugo and he was taken to the neonatal unit. The next five weeks were the best and worst of our lives. The days were filled with joy and they were filled with sorrow. Martin and I spent hours every day talking to Hugo, as well as singing to him, reading books out loud, and gently holding him. When we were allowed, we enjoyed blissful skin-to-skin cuddles – that was the best feeling in the world. Hugo was fortunate to avoid many of the complications that afflict premature babies: he didn’t have a brain bleed, and his bowels were fine. In fact, during his life he found a way to show everyone what he wanted, and when he wanted it, earning him the nickname Hugo Boss. He enjoyed my breast milk, and was growing bigger and stronger. I felt very proud to be the mummy of such a determined, strong fighter and loved him more and more each day. There was nothing in the world I wanted more than for him to recover and for Martin and I to bring Hugo home and live together as a family. Sadly, Hugo’s lungs were too premature. His doctors broke the news that despite trying every treatment possible, his lungs were never going to grow with the rest of him. His life would be full of suffering, and ours full of false hope – they recommended withdrawing treatment. Hugo died peacefully in my arms, with a tummy full of his favourite mummy milk, at 5.54pm on Thursday March 27, aged 35 days. Martin was right next to us. There are no words in the English language that adequately describe the decision we had to make, how it felt when Hugo passed away, or how it feels now. ‘Devastated’, ‘shattered’ and ‘heartbroken’ come close. Now I have set the scene, I would like to use future blogs to celebrate Hugo’s life; describe our experiences as parents of a premature baby; dealing with bereavement and loss; and coming to terms with having a condition that you had never heard of before diagnosis, as well as raising awareness. Thank you for reading this – I won’t say I hope you enjoyed it, but I do hope you will come back to read my future entries, and share them with your friends and family. While this blog will, I hope, serve as a therapy for me in my grief, I would also like it to help others. Hugo touched the lives of many people in his short life, and his strength inspired many people. His name means ‘bright and mind and spirit’. Hugo lived up to his name, and I would like to emulate his fighting spirit. Looking Back at 2017: How Was it for Me? An amazing mummy and daddy. A lucky baby to have had you for such a short time. Thinking of you all. Thank you. We are lucky to have such a lovely baby.